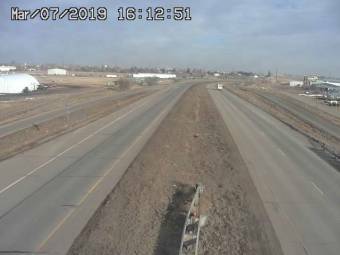 It's 08:58 in Greeley, USA right now. US-85 @ Greely (LV) A view of the current traffic (Traffic closest to camera is moving North). Loveland, Colorado: North Loveland, 19.3 miles away. Fort Collins, Colorado: Panorama View, 22.7 miles away. Fort Lupton, Colorado: Fort Lupton East, 24 miles away. Laporte, Colorado: Bonner Peak, 26.4 miles away. Lyons, Colorado: Eagle Canyon, 32.6 miles away. Louisville, Colorado: Boulder Flatiron Cam, 38.1 miles away. Boulder, Colorado: RadioMetrics Corp, 41.4 miles away. Estes Park, Colorado: Continental Divide, 42.9 miles away.